Leaked patent images have revealed the design of the 2019 Yamaha NMAX. The old model was showcased at Auto Expo 2016. 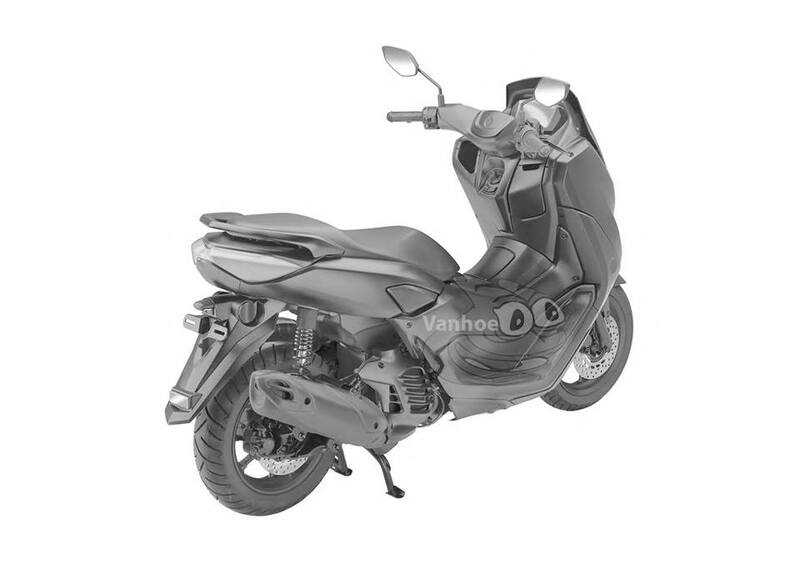 Moreover, a report from October last year claimed that Yamaha could bring the 155 cc scooter to the Indian market in mid-2019. However, with no sightings of a pre-production test mule on the Indian roads yet, that seems unlikely. The leaked patents of the Yamaha NMAX reveal a sleeker front with redesigned headlight, which is most likely a full-LED unit. Previously, Yamaha had imported one unit of the Aerox S 155 cc scooter in India. However, that was just for showcasing at the Yamaha Scooter Boutique in Chennai. 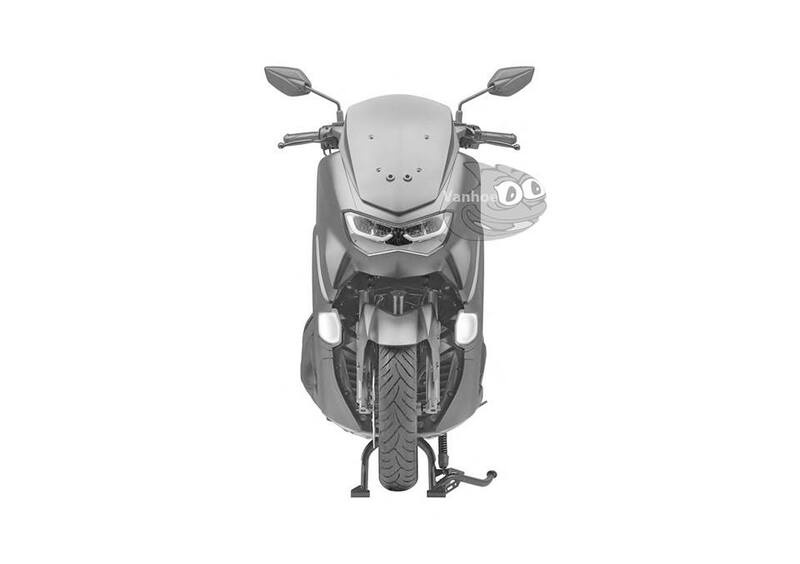 The leaked patents show that the new Yamaha NMAX features sleeker headlight (most certainly LED) design, revised front apron and repositioned blinkers and a refreshed look for the windscreen. The region behind the front apron has also been revised with the addition of a closed storage space that can be used to keep your phone and protect it against water and dust. This compartment will get a charging point as an optional extra. The saddle continues to feature a step-up design, followed by a single-piece pillion grab rail. However, the tail section has received a visual upgrade. The fins over the engine, exhaust and the heat shield design resemble the units on the current model. The engine will most definitely arrive with Euro-V compliance. The current generation model, for reference, uses a 155 cc liquid-cooled, 4-valve engine with VVA (Variable Valve Actuation) technology and delivers 15 PS of max power at 8,000 rpm and 14.4 Nm of torque at 6,000 rpm. Hardware specifications are not different from the current model. There are disc brakes on both ends to perform the anchoring tasks, and the safety net of ABS is present. Shock absorption department includes conventional telescopic front forks and a single-sided spring at the back. Like the Suzuki Burgman Street, the new Yamaha NMAX features a storage compartment on the right side, below the handlebar. If launched in India, the Yamaha NMAX will compete with the Suzuki Burgman Street and the Aprilia SR150.